Here’s to the class of 2016 -- they did it! Now it’s time to reward your grads and the teachers who helped to get them there! The days are getting longer and the temperature is starting to rise, which can only mean that summer is almost here! And with t-shirts and shorts comes picnic season- a celebration that kicks off once the first warm day hits. 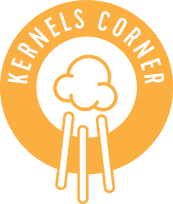 From quick lunches in the park, to date nights and outdoor movies, Kernels is the perfect snack to take you from basket to blanket.